Provide comfort for the family of Harold Ware with a meaningful gesture of sympathy. Harold Clifford Ware 91, passed away peacefully Wednesday, December 5, 2018, at St Joseph Hospital surrounded by family. Harold is survived by his loving wife of 63 years, Ruth Konvicka Ware, two sons, David (Shirley) Ware and Steven (Corinne) Ware, Sister Marion Moyer, several nieces and nephews. He is predeceased by his parents Harold and Alma Ware. He married Ruth Konvicka on June 4, 1955 at East Genesee Presbyterian Church, Syracuse NY. Harold graduated from Midway High School in Brooklyn, NY in 1945. The day after graduation he was drafted into WWII in the U.S Army 759th Military Police Batallion, 1945-1946, in Occupied Germany. Upon return Harold attended RCA Institute and obtained three licenses in broadcasting /radio transmission. Harold retired from New York Telephone after 37 years as an installer and repairman, in both NYC and Syracuse. He was sent to teletype school in Chicago for a time, and taught it at the Syracuse district. Harold had an active, happy life. 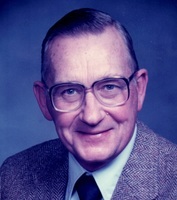 Harold enjoyed living close to Green Lakes State Park, where he could walk, swim, bike, and cross country ski. He also enjoyed sailing, canoeing, puzzles, games and jokes. Friends will remember the many activities and organizations he was involved in. Harold was a Cub Scout Master and spent time at Sabattis Boy Scout Camp with his family and friends. Harold was a member of the Syracuse Verizon Pioneers. There he volunteered his time to repair and recondition Talking Books Machines for the blind and worked with autistic children. Harold and Ruth enjoyed traveling throughout the US and Europe with family and friends. They enjoyed square dancing and travel with the Sullivan Square dancers. Harold was a dedicated member of the YMCA. He collected many pins from YMCA Folks Marchs, he designed and built the triathlon bike racks and continued to swim and exercise 2-3 times a week well into his 91st year. Harold drove the bus and enjoyed singing at the Fayetteville Senior Center and he was a member of the South Lake Hunting Club. Harold was a skilled woodworker, spending many hours designing and creating. Family and friends may call from 4:00 to 6:00 pm on Tuesday at Eaton-Tubbs Fayetteville Chapel, 7191 E. Genesee St., Fayetteville. A celebration of Harold’s life will follow the calling hours. Interment will be in spring at the family’s convenience at the Fayetteville Cemetery. In lieu of flowers, the family requests that contributions be made to First Baptist Church, 408 Pleasant St., Manlius, NY 13066 or Fayetteville Senior Center, 584 E. Genesee Street, Fayetteville, NY 13066. My heart goes out to you, Steven and David, and to your Mom. It’s been a long time, but I have such fond memories which I often recall. You were a warm and welcoming family to me, and we had some fun! I wish you many fond memories and healing peace. Wow, when I see this picture of Harold, I see Steve, his son. Ruth and Harold had two sons, of which I only know one, Steve. They did a good job when they produced him. Steve has been a loyal friend for 35 years, probably like his father was to many. Good luck my friend, going through all the antique telephones your father collected over the years. Cherie & Francis Xavier purchased flowers for the family of Harold Ware. I have had the pleasure of meeting Harold Ware on two occasions, The first was at Thanksgiving of 2015 and again at Christmas of that year. He was a great man to meet and I got to enjoy the time I spent with him. My condolences go to the entire Ware Family at this time and to know they are thinking about what I just wrote on here. He was a great man and now he is gone.